Regular readers might remember that last year I got the chance to try out some skin care products from Rocky Mountain Soap Company - and promptly fell so in love with one of them that I was literally raving about it to anyone who would listen and I picked up a couple to include with Christmas gifts over the holidays. Because of that, I was obviously really excited to get the chance to try out a couple more products from the company and pretty stoked to see that both of these are pretty unique, in my opinion. It's time to get serious. 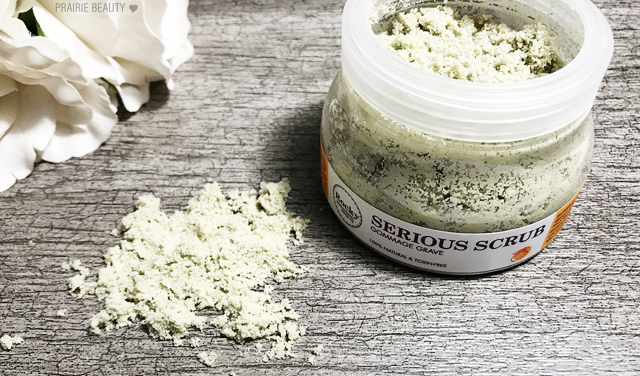 Made with pure volcanic pumice, this hardworking scrub naturally exfoliates even the toughest of skin, revealing the soft and smooth skin hidden beneath. Blood orange and cardamom essential oils will stimulate your senses and leave you feeling... and smelling, seriously good. Every time I go to the beach, I find myself picking a nice spot where the sand is a wet and basically slowly digging my feet down into it because I love the way the sand exfoliates my feet. I tell you this because that's really the feeling that I get when I use this scrub on my feet, which is where I tested it. Before we get into the (literal) nitty gritty, I have to tell you... I absolutely love the smell of this scrub. It has a brightness to it that makes using it feel like a really sensory experience for me. I also noticed that it did actually hang around, living up to the promise of leaving e smelling good. Initially, I wondered if this was really going to be able to do what I needed to it on my ever-problematic feet because the texture appears like more of a paste than a serious scrub... but let me tell you, this is aptly named. 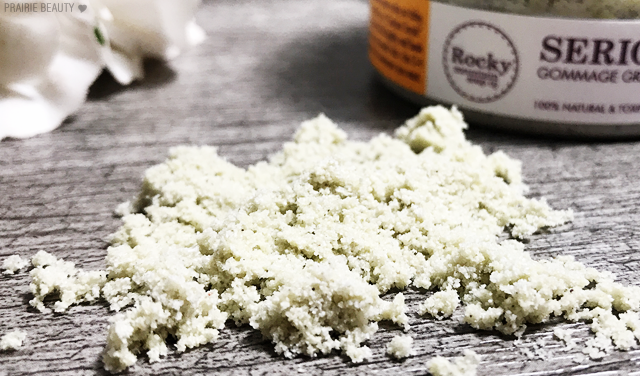 The texture of it is really fine, so it doesn't feel overly abrasive or uncomfortable to use, but those little grits are tough as nails and really get in there to exfoliate the skin. Giving my feet a really good scrub with this left the parts that are a little bit less problematic feeling incredibly soft while it went hard at the really problematic parts and helped to really slough away a lot of what needed sloughing. I think that if you were to pair this with the Rocky Mountain Soap Dry Skin Butter (over which I obsess), the pairing would seriously knock out those really dry, problematic areas. 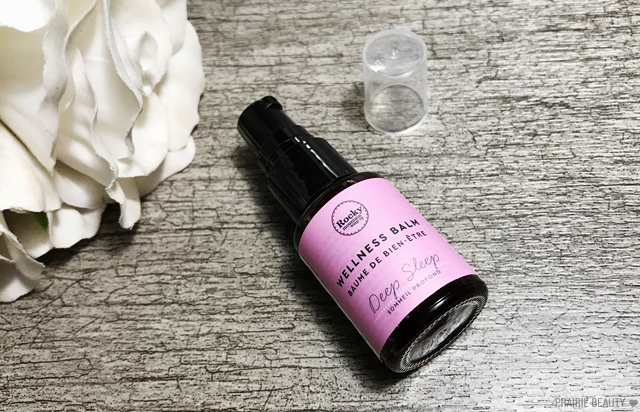 Initially, I wasn't really sure what to do with this product... and then when I did a little reading about it I was excited to try it out because there is nothing that helps me relax my mind enough to fall asleep the way the smell of lavender does. I actually really strongly rely on it when I'm going through periods of anxiety that make it difficult to turn my thoughts off enough to fall asleep. Following the instructions I used this by applying it to my temples right before I was going to go to sleep and I really enjoyed the scent of it. It's heavy on the lavender, but it also has the added complexity and depth of the other oils that they included in it. I personally found it really lovely, subtle enough that it was really more peripherally noticable than overwhelming, and I do think it helped to do exactly what I rely on lavender to do in helping me sleep. For stronger effect, they say to rub it between your hands and then cup them over your nose and mouth to breathe it in. Personally, I don't think I need to use it this way, but it's worth mentioning. Overall, I'm actually really into this product, moreso than I initially thought I would be, and I'll continue using it for nights when I need a little bit of a helping hand to fall asleep. I really, really like Rocky Mountain Soap products, guys. Personally, I prefer the products from the brand that are unique, which I think both of these products fall into, along with the Dry Skin Butter that I'm so obsessed with. 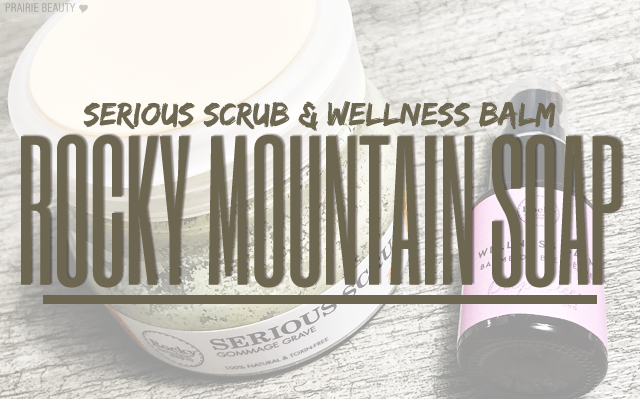 I love when brands are doing something different and bringing out products that you can't just find anywhere and those are the ones that really stick out for me from Rocky Mountain Soap Company. 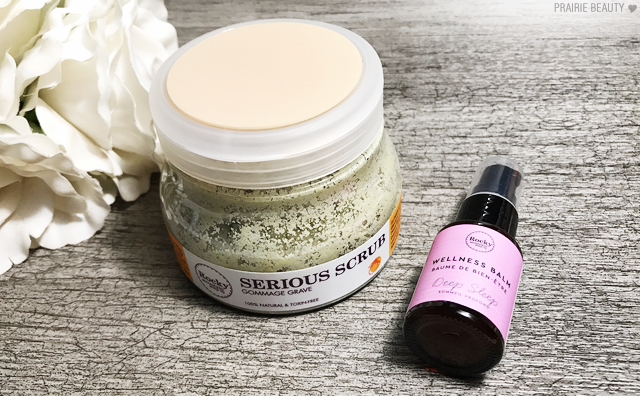 The Rocky Mountain Soap Company Serious Scrub* and Deep Sleep Wellness Balm* are available online at their website as well as in their brick and mortar stores. I didn't know that there was a Rocky Mountain Soap store here in Winnipeg - so if you're unsure, definitely check online!